Even in the winter months, `Lamarque' is still blooming. It is very vigorous, with canes up to 15' or more. 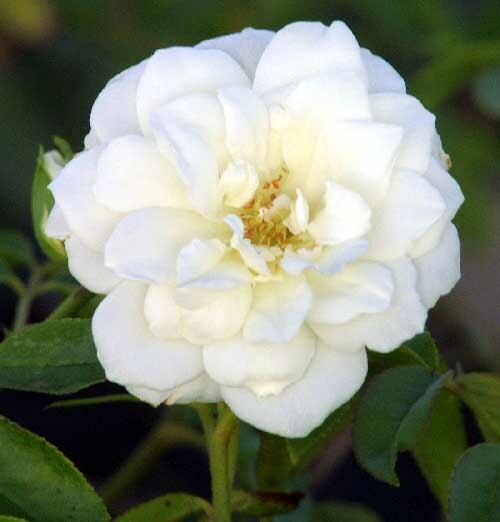 The blooms are white to very light yellow, and open in clusters. This is an easy rose to grow; just put it on a strong pillar or other support and stand back! Bred in Angers, France in 1830 by Marechal.